SkyBoss makes invoicing and scheduling a breeze for your appliance repair business. Take control of your company and maximize efficiency; start your free trial today! SkyBoss is business management software with a proven track record. We have already helped thousands of appliance repair companies improve their business from the ground up, with many built-in features, designed specifically for the appliance repair industry. 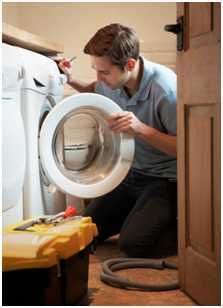 Do you run an appliance repair business? From scheduling and dispatching to sending invoices to your clients, SkyBoss is a complete suite of business tools that makes running your appliance repair business quicker and easier for your entire back office team. Used by thousands of appliance repair and other field service businesses, SkyBoss includes a wide range of features that can help you reduce your back office team’s workload by up to 70% over the long term, giving you more time to focus on growing your business. From invoicing to scheduling and dispatching, the tools in SkyBoss are easy to use and built so that anyone, from your back office staff to service technicians, can master them and start saving time in one day or less. Ready to improve efficiency and free up time to focus on growing your business? Call us on 888-772-3010 to learn more about how your business can use SkyBoss to improve efficiency, increase revenue and deliver higher quality service to your clients. Designed to meet the needs of appliance repair and other field service businesses, SkyBoss business management software is packed with useful features that can help you save time and improve your business’s day-to-day operations and results. Unlike most business software, which is designed for a wide range of different companies in an equally wide range of industries, Skyboss is built specifically for field service businesses such as appliance repair providers that work on multiple jobs for a variety of clients every day. The drag and drop scheduling system in SkyBoss lets you add new jobs and place them in time slots in just a few clicks, helping you create a detailed and effective schedule for your team in as little as a few minutes every day. SkyBoss field service software also includes a powerful dispatching system that can automatically assign jobs to your appliance repair technicians based on their GPS location data, or send work orders to members of your team based on your manual selection. From responding to customers to dispatching your technicians, SkyBoss makes every aspect of the scheduling and dispatching process faster, easier and more efficient for your back office and field staff. Designed to simplify your scheduling process, SkyBoss is built around a user friendly, drag and drop scheduling interface that lets you place each new work order in a specific time slot in just a few simple clicks and keystrokes. When you create and schedule a new job, you can choose to assign it to a specific technician and notify them of the job using the SkyBoss mobile app. SkyBoss can also track your service vehicles using GPS location data and automatically assign jobs to the nearest technician. Each job notification includes a complete work order with task-specific information, as well as a convenient driving map to help your technicians respond to each work order quickly and deliver high quality service. While your team responds to calls and work orders, you can track your daily progress with live updates on the amount of revenue your business has generated, the number of calls your team has responded to and your average earnings per call. The end result is a faster, smarter scheduling and dispatching process that lets you respond to more customer calls and provide higher quality, more reliable appliance repair services to your clients, all while working less and improving productivity. Are you tired of waiting days, weeks or months to get paid by your clients after completing each job? SkyBoss includes a user friendly invoicing system that lets you invoice your clients faster, automatically follow up on unpaid balances and generate quicker, more consistent cash flow. Instead of working around the clock on your invoicing process and waiting weeks or months to receive payments, you can get paid for your work faster than ever before, all while spending a fraction as much time on your invoicing and collections process. Sending invoices and getting paid can be a challenging, time consuming process, especially if your business offers generous trade credit terms to its customers. SkyBoss allows you to send and follow up on invoices in a fraction of your usual time, all while generating better results. Creating and sending invoices in SkyBoss is a breeze. Instead of dealing with complicated and user unfriendly publishing software, you can create precise and professional looking invoices in just a few clicks. If your clients fail to pay on time, SkyBoss can even follow up automatically via email to let your clients know that they’ve fallen behind. If your clients prefer to be invoiced by snail mail, you can export and print your invoices in batches to save time and improve productivity. Using the SkyBoss mobile app, your technicians can even create invoices and accept payments from any location, letting you invoice and bill clients as soon as your team members finish each job without any back office work. The end result is instant invoice delivery and fast payments, all with little to no collections work for your back office team. Eliminate paperwork and manage your accounting digitally. SkyBoss includes a wide range of powerful accounting features that let you monitor your appliance repair company’s key financial performance indicators in just a few minutes a day. Built specifically for appliance repair companies and field service businesses of all sizes, you’ll find a huge amount of value in SkyBoss’s time-saving and paperwork-reducing accounting tools. From accounts receivable and accounts payable to overdue invoices and other important data, the accounting tools in SkyBoss put all of your company’s key financial data right in front of you at a moment’s notice. This lets you keep track of your accounting data and manage the financial side of your company without relying on paper records or complicated software. In fact, many SkyBoss users are able to completely eliminate paperwork and go paperless after adding SkyBoss to their back office. Not only can SkyBoss let you view your company’s key financial data at a glance -- it can also help you save hundreds of hours over the long term by automating common back office tasks such as transaction reporting and collections. SkyBoss can even save time for your technicians by giving them the ability to photograph and upload their receipts for purchase orders and expense reporting, giving you a full record of your company’s spending. The end result is better accounting in a fraction of the usual time, helping you focus on growing and improving your appliance repair business. Do you have long term clients on service agreements? If you offer appliance maintenance and other services to your clients as part of a long term contract, you’ll enjoy how simple SkyBoss makes it to manage, monitor and renew your service agreements. Because service agreements produce recurring revenue, they can be a fundamental part of your company’s long term growth. SkyBoss makes it easier than ever to create and renew contracts for ongoing services such as appliance servicing, maintenance and repair. If your business has service agreements with its clients, you’ll be able to view your estimated earnings in real time and act quickly to renew your contracts and retain customers, letting you generate recurring revenue and expand your business. Previous work orders, transactions and custom notes are all easy to find using SkyBoss’s client tracking tools. SkyBoss records transactions and client history in a complete database, allowing you to quickly and easily search for specific interactions, transactions and notes. The better your know your clients, the easier it is to retain their business for the long term. The client tracking tools in SkyBoss make it easy for your appliance repair company to track down important information about your customers and develop stronger commercial relationships. SkyBoss includes a powerful reporting system that allows you to create and view a wide range of reports, from quotes created vs. quotes won to invoice aging, transaction reports and more. Unlike other business software, SkyBoss is designed to be as easy as possible for your back office team and technicians to use. On average, it takes less than one day to make the switch and start using SkyBoss to run your appliance repair business. We’re confident you’ll be able to make big improvements to your appliance repair business by switching to SkyBoss. That’s because we’ve helped hundreds of businesses like yours save time, generate more revenue and improve their growth rate. Our live demo takes 10 to 60 minutes, depending on the amount of time you’d like to spend learning about SkyBoss. During your live demo, our representative will answer any questions you have about using SkyBoss to manage your business. By the end of your demo, you’ll understand exactly how SkyBoss can fit into your daily workflow and help you run your appliance repair business more efficiently. To get started, call us now on 888-773-3010 or contact us online to schedule your custom live demo and learn about how you can use SkyBoss to optimize and enhance the way you run your your business. Ask How! No Commitments! No Contracts! Cancel Anytime! Copyright © 2015 SkyBoss. All Rights Reserved.